My biggest aha moment was back in 2011 when I was evacuated out of the Peace Corps following a terrorist attack in Niger, West Africa. Finding myself without a plan taught me a lot about how to handle the lemons life throws you by making lemonade, or in my case, moringa bars. I had wanted to join the Peace Corps ever since I first learned about the program in high school. Growing up in a relatively privileged household in the San Francisco Bay Area, I had always felt a need to share some of the opportunities I had been given. I was particularly fascinated by the African continent, 54 countries that had such diverse cultures and communities but often were perceived as one tangled mass of poverty, AIDS and warfare. I wanted to see the truth for myself and feel what it was like to live off a few dollars a day. The Peace Corps placed me in Niger, one of the hottest, driest and poorest countries on the planet. I loved it. The people I met showed a generosity and spirit of community that was unlike anything I’d ever experienced in America. After only seven months, we received the news that there had been a terrorist attack in Niger’s capital, Niamey, and that all 100 Peace Corps volunteers were to be evacuated. We had less than 48 hours to pack up all our things, say goodbye to the people who we’d come to call family and get on a plane to Morocco. It quickly became clear that the Peace Corps didn’t have space for all of us to go on to a new country. I was told that I could go home, wait six months and then start all over again in a new country. Going home felt like failure. My entire life up until that moment had been a series of well-planned steps up a ladder that held glimpses of a promising international development career peeking out from behind the clouds. In no world was I going to go live in my childhood bedroom for six months. On a whim, I moved to India. While interning at Startup India!, a social enterprise incubator, I kept thinking about how much I’d been given by my community in Niger and how I never had a chance to give back. The project that kept niggling in the back of my mind was a food security project with moringa. 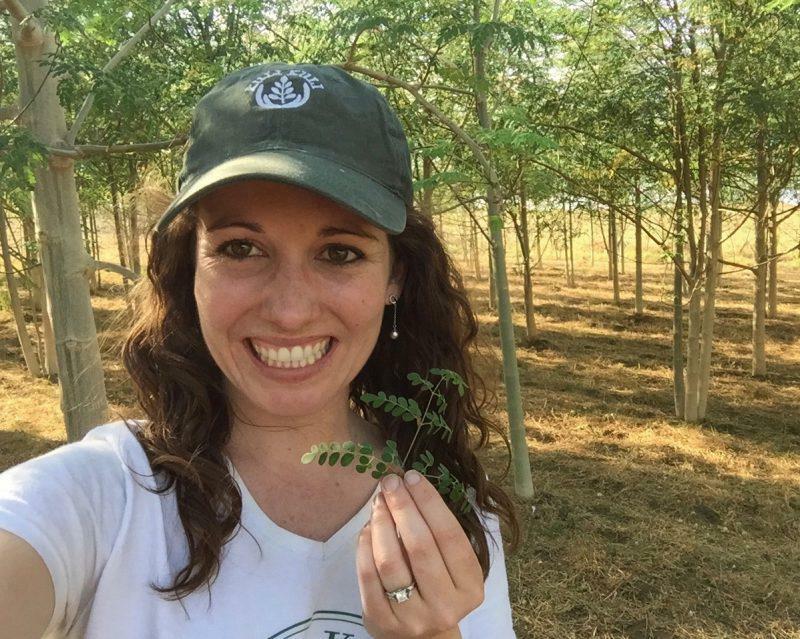 Moringa is a tree that grows across the tropics that is often lauded as the “tree of life” for its amazing nutritional and medicinal properties. As a vegetarian living in a Nigerien village, I had relied on moringa to provide the iron and complete protein my body needed. Though the tree thrived in Niger’s hot climate, very few people ate it largely because they didn’t see it as a valuable crop. Before being evacuated, I had worked with a few women in my village to begin growing moringa at the village’s health center, provide educational sessions to community members on how to benefit from the nutrients and then sell the powdered moringa leaves at the local market to help the women earn a sustainable livelihood. Sadly the terrorist attack had come in the middle of the project planning and I never got a chance to see the project through. But I was quickly learning from India’s vibrant social enterprise sector that international markets could be an incredibly powerful force in encouraging sustainable development. My Indian co-workers praised my first business plan for what would eventually become Kuli Kuli – a social enterprise that sells moringa bars, powder and energy shots in the US that help to plant moringa trees and empower women farmers in the developing world. Six years after being evacuated out of the Peace Corps, I now run a mission-driven food company that I never dreamed of in all my careful life planning. I keep this lesson in mind every time I face one of the many hurdles involved in getting a startup off the ground. The challenge might seem like the sourest, biggest lemon you’ve ever seen but there might just be a way to squeeze it into an opportunity.